Last week, we ran into Deena Varshavskaya, the founder of Los Angeles-based Wanelo (www.wanelo.com), a social shopping site focused on allowing women to share and follow others as they shop online. We talked to Deena about her startup and where she's trying to take it. 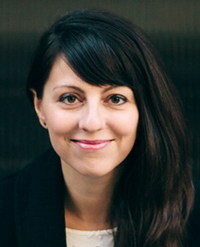 Deena Varshavskaya: Wanelo--from Want-Need-Love-- is a community platform for shopping. It's a site you can post, find, and collect your favorite products for anywhere online. You follow users who tastes you like, and you get a feed of products they find online. It's the best way to be exposed to new products and new brands. Who's the ideal customer for this? Deena Varshavskaya: Women are absolutely addicted to shopping, so our engagement numbers are extremely high. We have seven and a half minutes long average sessions on the site, compared to two and a half long minutes on competitors sites. Women, really. Deena Varshavskaya: I was thinking about alternatives to advertising, because I think advertising just fails to deliver relevance. So, Wanelo is all about creating relevance in shopping. Deena Varshavskaya: I'm an entrepreneur. I started my first startup right out of school, which failed due to a partnership that did not work out. Until recently, about a week ago, I had a consulting company which I put on hold to focus on Wanelo, which was focused on user experience design. We have designed Nick.com, and worked with Disney, MySpace, back in the day, and other big brands. Deena Varshavskaya: The current version has been running since October of last year. What's the big goal for you in the next few months? Deena Varshavskaya: I've financed the company myself, and I'm the single founder right now. The next goal is to find advisors, some technology partners, and to seek investment.